First, I want to say I hope all of my readers in the path of this storm are safe and have shelter from the storm. I’m going to try to be brief because I’m afraid I’ll lose power at any time now. So, just the basics. Like I said earlier, and what prompted me to write the column, Irene (asteroid) is on algol, which is a very destructive and malevolent star associated with mass catastrophes. It is smack dab on the new moon chart for the USA, which is the day it hits the Northeast Corridor and will be in Washington DC. So, Irene is right on the appearance of the new moon, which fits. Either way you look at it, Irene is coloring the view of the USA right now. It being on algol, both Irene and the AC, fits, because even if it isn’t completely catastrophic it has caused so much fear and panic that its essence is still the same as Algol’s meaning. 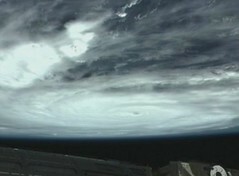 This hurricane is certainly unfortunate for our nation. At best it will cost a lot of money to clean up. Mars is on Wasat, which is another baddy. Chemicals, poisons, gas; violence, malevolence, destructiveness as a first principal. Algorab : Scavenging, destructiveness, repulsiveness, malevolence, fiendishness and lying, suicide, greed, injuries. Mars square saturn is a violent aspect, so in a new moon chart or hurricane chart, it would be violence via Mother Nature. I do also wonder if this points to looting after the storm. The aspects and the meanings of the fixed stars fit. Be cautious after the storm for this possibility. Wait until the news says the streets are safe from looters. Kaus Medius — Favourable for coronations, expiatory ceremonies, planting trees, sowing seeds, building towns, and matters of a permanent nature; polite, popular, many friends; danger of earthquakes, natural disaster, political conflict. In the middle of the Archer’s Bow. We just had an earthquake here and now we’re having another unexpected natural disaster. I think Pluto on Kaus Medius may be a huge factor in these events. It’s also on the degree of the eclipse we had on June 26, 2010. Achird — Haughtiness, boastfulness, exaggerated pride; commands respect. Alula Borealis — Hindmost foot of Ursa Major. As the northern Alula, it is more fortunate. Associated with female infidelity & revenge. This star is conjunct the natal Sun and Part of Fortune of popstar Michael Jackson. The Great Bear gives a quiet, prudent, suspicious, mistrustful, self-controlled, patient nature, but an uneasy spirit; great anger when roused. Uranus is close to Scheat and square pluto, unexpected intense dangerous happenings. Scheat — Imprisonment, murder, suicide, drowning, extreme misfortune. Essence of intellect; independent thought; break with conventional thought or philosophy. The reason I think this is that mars is in the 3rd house of the chart, which would rule roads, trains, subways and bridges and the like. It’s square saturn in the 6th, which can also be infrastructure, since it’s a daily activities house. It shows the disruption of people’s everyday lives for sure. Saturn is restriction in the 6th house of daily affairs and mars is showing extreme disruption and agitation in the travel department and in the nation’s minds. Sheer panic by us and the media. Saturn in the 6th can point to health issues. Maybe water will be contaminated or infection will spread due to the disaster. I don’t like pluto in the 8th house of death along with the north node of destiny. On the bright side we do have jupiter in the 12th house and that’s known as the “guardian angel aspect,” so maybe little loss of life and not major damage to our cities. I’d be remiss if I didn’t mention that the ruler of the IC, our home, is involved in a grand trine with pluto in the 8th of death and destruction and finances and jupiter in the 12th. The jupiter in the 12th can play out as a lot of hospitalizations or illnesses. It can also play out that it just costs a lot of money (jupiter ruling 8th of resources) in the 12th house of bankruptcy. Don’t forget it can be a protective aspect too. These are just the major aspects. We also have a few Thor’s Hammers and a quincunx. I do believe the minor aspects are important and I may edit this later to discuss it, but right now I just want to hit “publish” because the winds are really kicking up. Edit: I was just editing out all my errors from being so fast, but we’ve gotten a tornado warning here and there’s sirens nearby, so I have to bail. This entry was posted in Lunations, Uncategorized and tagged Algol, Algol natural disaters, Hurricane Irene, Hurricane Irene astrology, Jupiter, Mercury direct, Mercury station, Natural disaster, Ursa Major, Washington DC. Bookmark the permalink.